Please read the item description fully before ordering to avoid confusion and delays! Utah state shaped cutting board. Our cutting boards are handmade, heirloom quality and made from beautiful solid Cherry hardwood. It measures approximately 16″ by 12.75″ overall and is 3/4″ thick. The finish is 100% FDA approved as food safe. We use our own special blend of mineral oil, beeswax and carnuba wax to seal the board and give it a beautiful luster. Handmade by Tony Reynolds Designs in Granville, Ohio USA. Makes a great gift for Hostess, Christmas, Birthdays, House Warming, or just about any other gift giving occasion. Care of your custom cutting board is very easy. Simply wash the board with soapy water using a sponge or rag and rinse off, then towel dry. NEVER allow your board to soak in water or place in a dishwasher as this could cause damage to your board. Every month or so you can apply mineral oil or our own oil/wax finish to the board to keep it looking great for years to come. The photo is representative of the quality of the board you will receive. 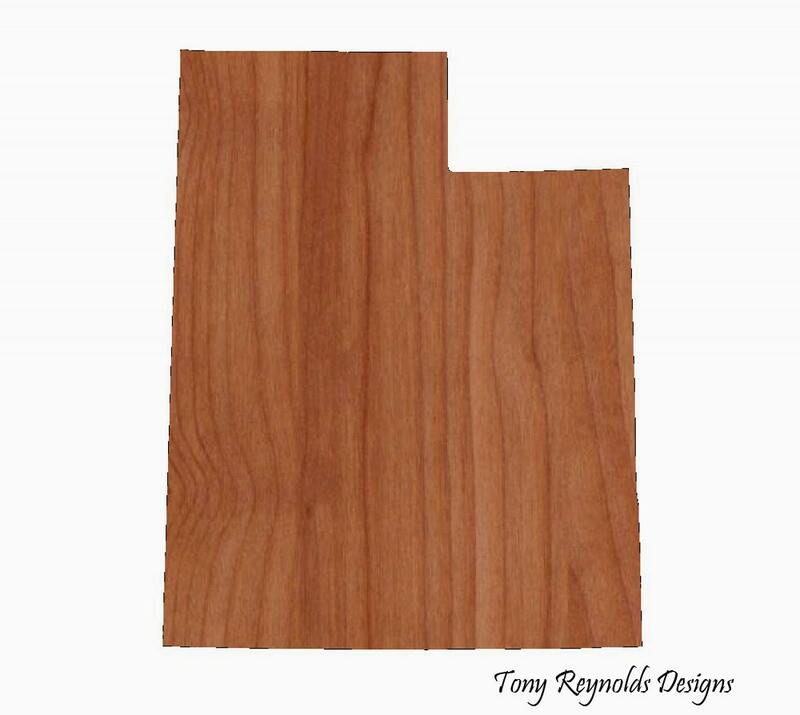 Wood is a natural material and slight variations in grain and color will result. Please allow for those variations when ordering. We use only the highest quality hardwoods when making our cutting boards.